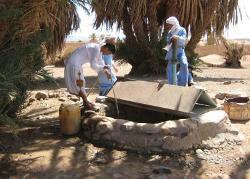 Five hours by road from Ouarzazate, the small town of M’Hamid edges onto the largest desert in the world. 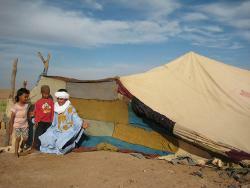 The Sahara - nearly ten million square kilometres of sand – is home to Moroccan nomads. After a night’s rest in M’Hamid under the stars, you will travel for about another five hours to meet your desert host family. These travelling tribes herd camels and goats across the dunes to search out the most plentiful sources of water. 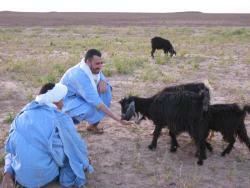 Many tourists travel to southern towns like Merzouga and spend a day or two driving around in air-conditioned vehicles. They may have a meal and spend the night in a bivouac tent. As a volunteer, living and working with the local people you can truly experience the lifestyle of this ancient civilisation. This project runs throughout the year, however, please note that during the summer months of June, July and August temperatures can be as high as 45 degrees Celsius.